Today, I have a special treat for you. At first glance you may think it looks like regular (but healthy) bread. I assure you, this is a VERY different kind of bread. Even if you have eaten Paleo or SCD breads, this will taste completely different. In my opinion, this recipe is so different in taste that it really should not be thought of as merely bread. I lived in France during my youth, and it reminds me of a French product called, roudor. 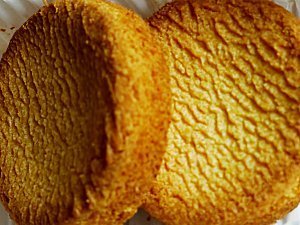 This is a type of French biscuit and is quite delicious. Comparing the taste and texture of our “Paleo Breton” and roudor, they are very similar. They both have a flake-like consistency and are mildly salty with a buttery taste. I want to say they possess a texture of wet sand. But admittedly, that is not a very attractive-sounding description for a recipe. Fear not, both are very delicious and seem to melt in your mouth. Roudors are more crunchy, for sure. If you wanted to replicate the texture of roudors, simply let this Paleo Breton dry out in a dehydrator then grill it in the oven. This would make for an interesting culinary experiment if you’re the adventurous type, as we are. 2. Grease and line a 10 inch loaf pan such as this one – If you have seen our previous recipe (Paleo & SCD Fraisier cake), you will see that we just love Kaiser. It’s pretty expensive, but you will keep them for a lifetime! 3. Put the soft butter and almond flour in a bowl and stir until the butter and the flour are very well mixed. 4. Add all the other ingredients and stir well. 5. Pour the mixture into the pan and bake for about 30 minutes or until cooked. TIP: Carefully stab the cake with a knife and pull it out, the knife will be clean if the cake is done. 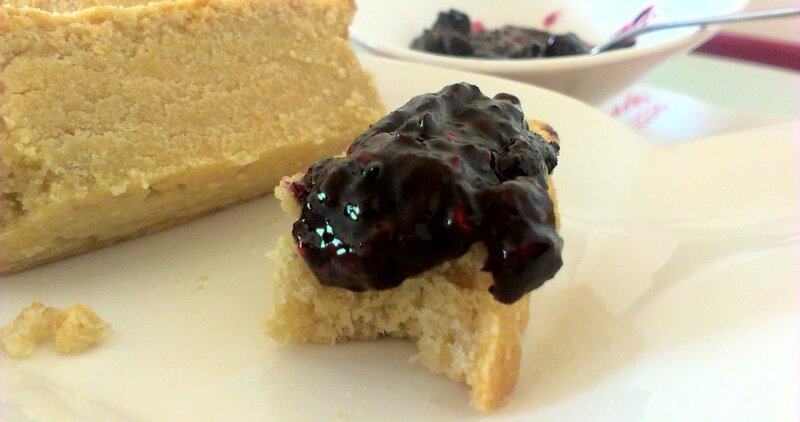 PS – It’s quick, easy, and tastes quite excellent with a homemade blueberry & raspberry jam. PPS – Tell me if you want the recipe for the jam we made, and I’ll post it with great pleasure. Next: Next post: 99% of the Time it is Low Stomach Acidity (Hypochlorhydria) Which Causes Heartburn, Acid Reflux and Hair Loss – Antacids Make The Problem Worse! Would love the jam recipes..